The Bengals announced Friday afternoon their home game against the Minnesota Vikings will be broadcast locally after ticket sales reached the league’s threshold to avoid a blackout. 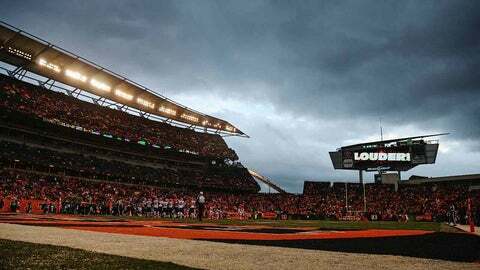 Some tickets still remained as of Friday afternoon at all three levels of Paul Brown Stadium for the 1 p.m. kickoff. FOX affiliates able to show the game as a result of the sellout are WXIX-TV (Channel 19) in Cincinnati, WRGT-TV (45) in Dayton and WDKY-TV (56) in Lexington, Ky.